Flipboard has finally launched for Windows 8.1, allowing users to finally discover the news reader app that makes it such a hit with tablet users on other platforms. 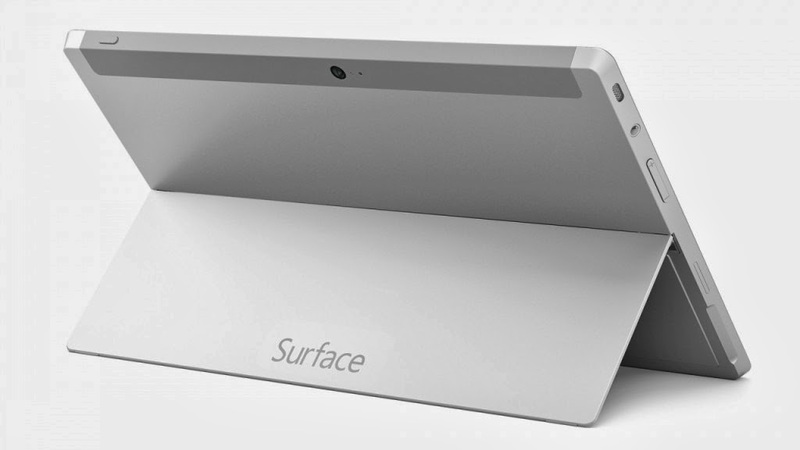 Developers have built the app from the ground up to match the Windows 8.1 look and feel, and take advantage of some the platform’s specific features such as adding Flipboard as a Live Tile to their tablet’s start screen. 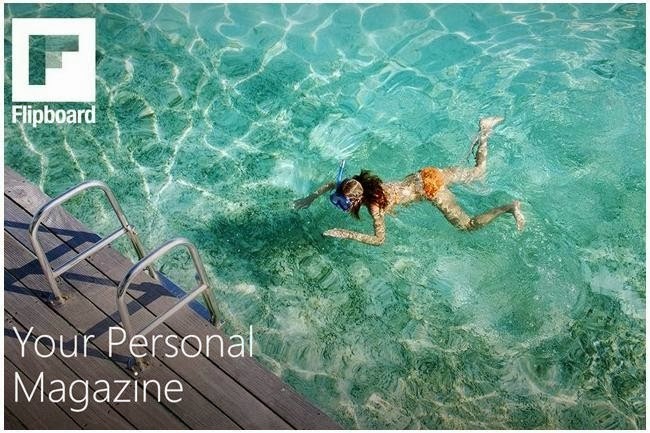 Flipboard for Windows 8.1 also make it possible to pin your favorite Flipboard magazines and sections to the start screen, so that you can access your favorite content speedily. A range of gestures offer plenty of functionality – for example, you can subscribe, refresh, and edit by swiping up, or access modules such as ‘contributors’ and ‘people also read’ by swiping down within a section. Microsoft’s windows 8.1 also offers a split-screen experience naming it Snap View, allowing you to read a Flipboard article while performing another task on the same time such as watching a movie. Since launching in 2010, the free app, lauded for its elegant user experience and ease of use, has been downloaded to around 90 million mobile devices. A feature rolled out earlier this year that allows users to create their own digital magazines for sharing, or private use, proved a particular hit with the Flipboard community, with 100,000 magazines created within its first 24 hours of going live. Another recent feature enables users to utilize the magazine tool for the creation of e-commerce catalogs for wish lists or as a way of creating a shopping list of gifts. Microsoft has opened pre-orders for its latest operating system Windows 8.1 on its website, ahead of its launch on October 18. The update coming later in October that’s designed to make it easier for people to absorb the radical new interface that arrived with Windows 8. The new release, which will be offered as a free upgrade to Windows 8 users through the app store, will officially go on sale on October 17 at 4 AM Pacific Time. But for any OS version earlier than that you will need to purchase Windows 8.1. Users can pay $120 to order the Windows 8.1 upgrade DVD or a digital download. Windows 8.1 is retailing for $119.99, while Windows 8.1 Pro is going for $199.99. “Windows 8.1 is not designed for installation on devices running Windows XP or Windows Vista,” Microsoft cautions on the Windows 8.1 pre-order page, but those customers can buy Windows 8 now and then get a free upgrade to 8.1. Windows 8 alienated many customers with an operating system that booted into a start page covered with high-contrast app rectangles rather than the familiar desktop with its start button. In late August, Microsoft officially wrapped up the development of Windows 8.1 and Windows RT 8.1, and announced that it had started to release both versions to hardware manufacturers. Upgrades could involve a lot of work. Windows 7 users and Windows 8.1 preview version users will have to reinstall their software with the final version of Windows 8.1. The story started when microsoft decided to remove Windows Sidebar from its operating systems for some security issues, so we decided to create a new software to replace the Windows Sidebar, which is secured and takes advantage of the new Modern UI (Metro). MetroSidebar takes advantage of the new Modern UI, so it celebrates a simple and clean user interface that’s beautiful to look at and easy to use. One room is not enough to enjoy all the amazing tiles. With MetroSidebar you can group your tiles in many rooms. Organize your tiles how you like! Make MetroSidebar truly personal by adding, removing, arranging, even grouping tiles in the rooms. MetroSidebar can be updated automatically when a new version is available so you can get new features and tiles. To display MetroSidebar, just move the mouse into the top/bottom right corner. MetroSidebar is totally free, just download, install and enjoy it! The notes from a recent Mozilla meeting reveal that a touch-friendly, Metro-style version of Firefox for Windows 8 will arrive alongside Firefox 26 in December. Firefox 26 for Windows 8 is set to release on Dec. 10, and it sounds like the “Modern UI” version will arrive at the same time. The notes, published online by Mozilla, called the special Windows 8-friendly version of the Firefox browser the “Metro Preview Release build” and promise that it will “‘ride the trains’ for Firefox 26.” Mozilla plans to continue working on the Modern/Metro Firefox, killing bugs and streamlining the browser, right up until its release. 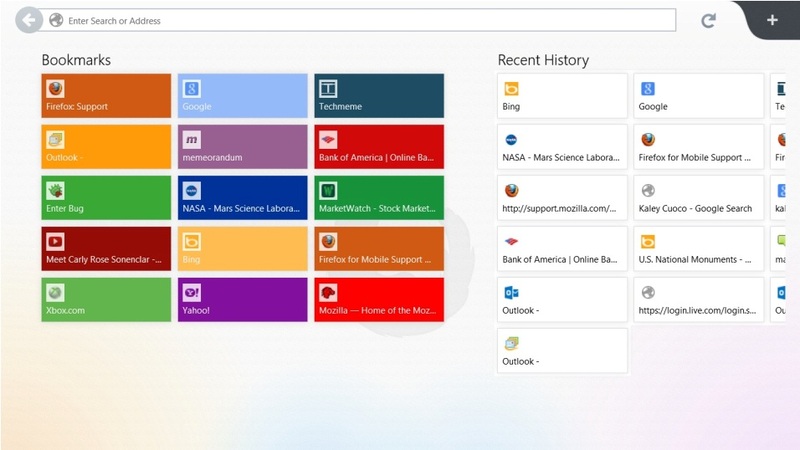 Firefox for Windows 8 will include a new Metro style Start Page, support for Firefox Sync, Metro touch and swipe gestures, integration with Windows 8 “charms”, and a new interface. A Metro-friendly version of Firefox has been in the works at Mozilla for a while, with previews appearing as far back as last year. 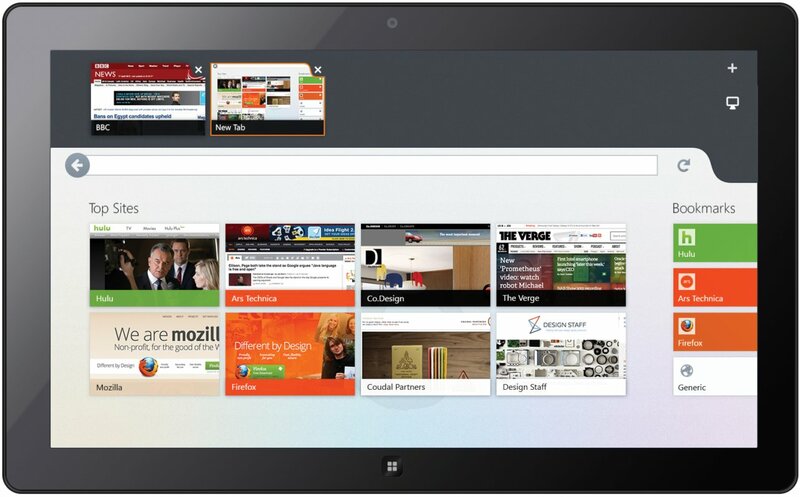 Nevertheless, a version of Firefox designed with touch in mind will benefit plenty of Windows 8 users. Alongside, Mozilla has plenty else going on, with an ”aggressive” release schedule planned for Firefox Mobile. For now, Firefox for Windows 8 will not work on Windows RT and will require Windows 8.